It's finally starting to warm up here in New York City, which might make this post untimely. This winter has thoroughly challenged my previous assumption that a pair of rainboots and some leather boots are a sufficient winter shoe wardrobe. While friends living in places with harsher winters (in both temperature and snowfall terms) might derive amusement from how fussy I get about NYC winters, having warm dry feet for those relatively brief walks to and from the train does have considerable benefits for one's winter-time comfort. I'm planning out some of my major fashion purchases for the remainder of the year. One such purchase will likely be a pair of more substantial winter boots. For now, I've tentatively settled on the L.L. Bean duck boots with Goretex and Thinsulate. I actually ordered last week, which seems dramatically premature given that spring will come soon (fingers crossed). It seems premature until one notices that my size is backordered until June 29. I feel as if the Bean boots were already somewhat "trendy" in my college days (Uggs were the dominant winter boot, though). Very recently, they have encountered a new surge of popularity. For those interested in pre-ordering, it looks like they won't charge my credit card until closer to the shipping date. I won't formally list them in one of my monthly budgets until I get charged. I have some reservations about my purchase. I've heard a lot about the declining quality of the materials, though the company still manufactures in Maine. That being said, at least one of the alternatives I considered is almost as expensive and seems to have worse quality. I thought about buying a true snow boot from Sorel, but despite all my complaints about slushy sidewalks and cold feet, I don't think NYC conditions require true snow boots. I'd like my boots to also be suitable for less cold, less slushy days. Some reviews suggest that the Sorel boots might be heavy and difficult to walk in. 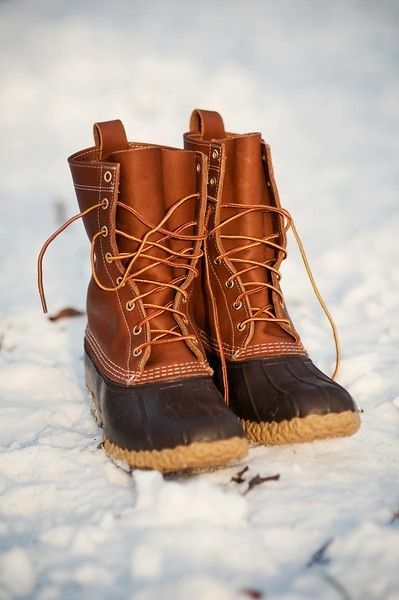 The Sorel boots are cheaper, however, which could be a serious consideration, especially if the Bean boots prove to be of poor quality. If I don't like the Bean boots when they arrive, I can of course, return them. As an aside regarding rainboots for winter, I recommend both the Tretorn and Lug brands (both go on sale on MyHabit frequently, resulting in a price of roughly $40 or $25/pair respectively). The only other brand I've tried is Target, which I do not recommend because they crack after approximately one season of wear. On the off chance that anyone has winter boot recommendations, I would love to hear them!